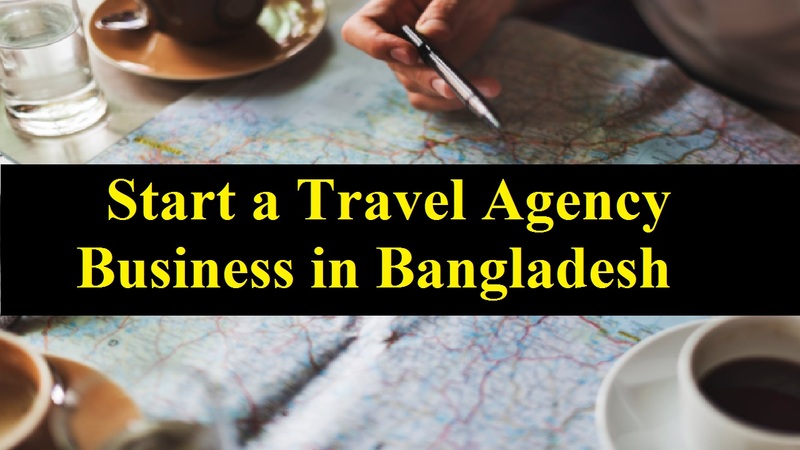 If you’re thinking to start a travel agency business in Bangladesh, you’ll need a small investment. If you’re an aspiring entrepreneur, it can be a fun, exciting, and profitable business for you. Also, it’s the chance to enjoy the perks of traveling at wholesale prices along with the income from the business. When you’ll start this business, you’ll sell services and products relating to travel. Apart from this, you can also sell tour packages, hotel accommodations, car rentals, cruises, etc to supplement your main product line. Besides, it’s a bit of a mixed bag to start a travel business. And you can often get away with limited staff and little upfront cost; on the one hand, a travel business can be fairly inexpensive to start. As per the aspect of the country, travel agency business in Bangladesh is a large industry. There are so many travel agents across the country; even you’ll find them in the rural areas. This is the result of the advancement of the technology and the internet providing system in the country. It means that there are big competitions in this sector because of a lot of agencies. That why there are some crucial steps to take right from finding the perfect location for getting legal permission and approaching the partners. As they’re eliminating all hassles attached to purchasing of tickets, picking the affordable packages, the travel agencies make traveling much easier for customers. This is because the offline travel agents and their businesses had slowed down. You need to follow some basics whether you are setting up an online travel agency or a conventional offline agency. Keep in mind that when you’re in the business, there are many new and established similar businesses as competitors. As people generally prefer the older agencies, you should also take note of them. Although the travel market is flooded with online travel agencies, there is still a wide scope for travel agency business in Bangladesh. Now, let’s know some simple and basic steps to start a travel agency business. You should find out your niche market which is an important aspect for first of all. There is one of the common mistakes that most of the new travel agency business owner does is to sell everything. Because of this, they’re inviting hard competition from everywhere this way. As it may be lacking in experience and resources, that is not a wise thing to do for a startup. So, it’s important to find out what your niche travel market is. You reduce the competition since not many operators are active in it when you pinpoint a particular segment of the market. It’s the one that very few have explored thus far the niche market. Also, you’ll get a good potential for growth in it. So, you need to do a comprehensive research to find out what the niche is perfect for you. That’s why you have to find what the emerging new travel needs are that very few agencies are able to meet. This is the best to grow your agency as very few competitors are active in that niche. You may come to know that some newly married couples prefer going backpacking, for example, if you research the market. As a result, you can start doing so when you find that not many travel agencies are providing special travel packages. If you have an effective business plan, it will keep you on the right track. And you’ll get the guidance how to run the agency successfully. However, it’s not a business plan that set the goals randomly and having a rough idea of what you’ll be doing. As it’s much more than that, you should prepare a detailed plan. So, some key points are should be included in your in-depth business plan, which should be based on your market analysis and sales strategies. Also, you should ensure to mention your funding requirements and financial projections. If you have a clear picture of your business goals, the business description should be precise in the plan. Not only for your travel agency business but branding is important for all types of businesses. This is because branding is all about creating a perception of your company and the products or services that you sell or provide. So, designing an impressive logo is one of the most effective ways to build a positive perception is to create high-quality visuals. Among the other, you can design some brochures, business cards etc, which are the part of your business branding. So, customers will think positively about your services if you’re able to convey your brand message successfully through these items. Until you fulfill the legal requirements, you can’t start a travel agency business in Bangladesh. But, it’s easy to get the licensing processes for travel agents because you need not undergo any specific training, testing or qualification process. It depends a lot on its location when you think the success of your travel agency business in Bangladesh. The consideration of the foot traffic is one of the key points to keep in mind for the country’s aspect. Also, make sure your signboard is visible to the crowds from a good distance and choose a location where people gather frequently. So, if it’s located in a nice area that has facilities such as car parking, people get a good impression of a business. And keep in mind; it’s helpful in building a trustworthy brand image of a business when your agency is at a good site.